Fall has arrived, and we’re marking the change in seasons with a change in menus at both Ellie’s and Gracie’s! See how we’re making the most of our favorite seasonal fare with these new menu highlights. Quintessential New England fall produce graces the menu at Ellie’s, with autumn vegetables like cauliflower, kale, and squash adding heft to the sandwich menu. 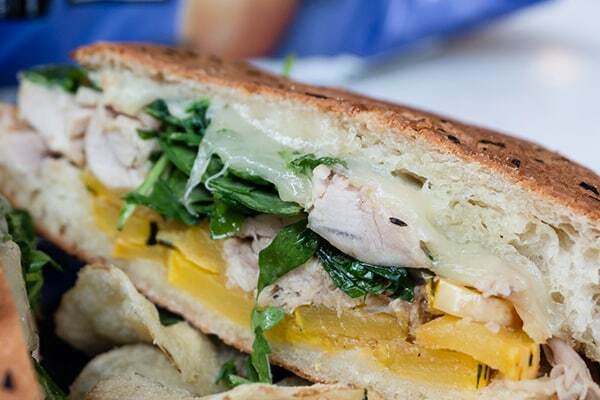 Our new Chicken Confit Sandwich, for example, features roasted delicata squash from Wishing Stone Farm along with gruyere cheese, pickled cranberry, bacon dressing, and arugula on ciabatta bread. 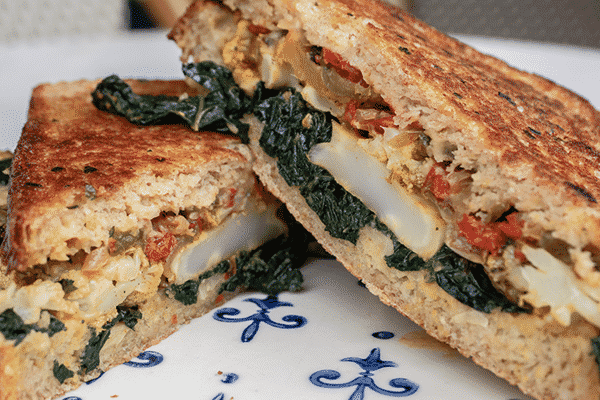 The Roast Cauliflower sandwich is a delicious and warming vegan option that will delight herbivores and carnivores alike. The cauliflower is joined by Vadouvan curry, Tuscan kale, roasted red pepper, caramelized garlic and hummus on sourdough. Who said vegan has to be boring? Over at Gracie’s, the new à la carte offerings showcase rich, developed flavors across a variety of dishes. 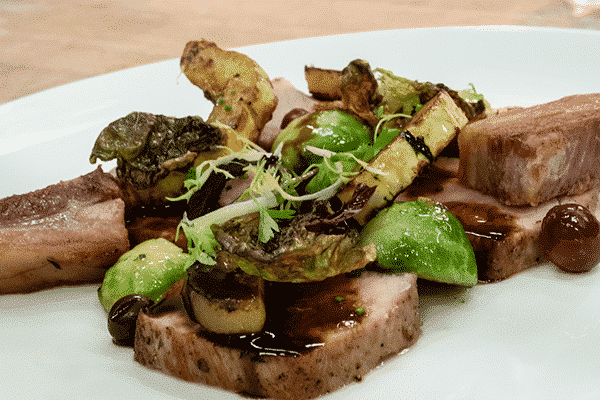 The Blackbird Farms pork is a guest favorite, with Brussels sprouts, local delicata squash, roasted apple, and pickled cranberry in a savory jus. The pork is lightly brined to allow the natural flavors to shine. 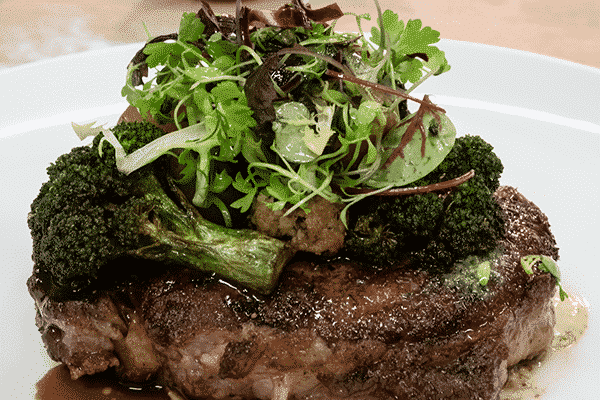 The Dry Aged Creekstone Ribeye is another dish that boasts tender, concentrated flavor. At 12 ounces, this entrée won’t leave you disappointed! The steak is served with cippolini, Schartner Farms broccoli, parmesan butter, bone marrow, and black garlic bordelaise. The broccoli provides the perfect caramelized, crispy, crunchy, nutty bite to complement the meat. 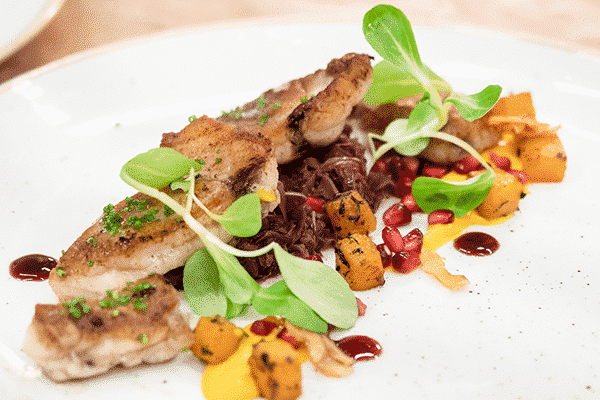 The Rhode Island Monkfish is a downright celebration of fall flavors between the braised red cabbage, butternut squash, pomegranate and sage brown butter that appear on the plate. Another outstanding seafood option are the Bomster Sea Scallops, a simple and straightforward yet elegant and delicious dish. 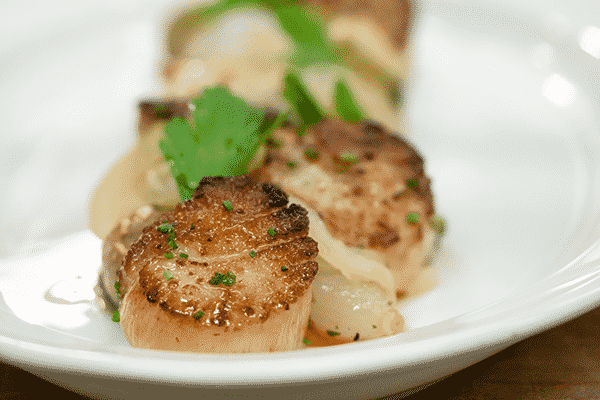 Scallops from Stonington, CT are seared and served with La Ratte potatoes from Little City Growers along with pearl onion, romesco, preserved lemon and parsley salad. Romesco is a nut and red pepper-based sauce originally from Spain that was made by the local fisherman to enjoy with their catch! Also on the menu are delightful seasonal preparations of Atlantic Cod Loin and Crescent Farms Duck. Join us for dinner and explore the full menu by making a reservation at: www.bit.ly/graciesreservation!